Sailing - 12. July 2018. Twelve crews will be competing in the Lysekil Women’s Match 2018. Now we can confirm more teams in the lineup and only only one spot remains. After the first event of the Wim Series 2018 in Helsinki there are important points at stake in the event in Lysekil. Six skippers have already been confirmed; Anna Östling (SWE), Pauline Courtois (FRA), Antonia Degerlund (FIN), Johanna Bergqvist (SWE), Octavia Owen (GBR) and Sanna Mattsson (SWE). With less than one month left until the first start of the regatta on August 6, the lineup is almost complete. The french match racing expert Claire Leroy will be replacing Caroline Sylvan as skipper of New Sweden Match Racing Team. Claire Leroy, 38, has two World Championship titles and was named ISAF Sailor of the Year in 2007. New Sweden Match Racing Team will be entering the regatta in Lysekil for the eighth time. “I’m very happy about the robust and high level sailing the team showed in Helsinki. Their starts were not too great but they read the course well and controlled the strategy and tactics. In Lysekil we hope and expect that we will be able to show some teeth and challenge the other teams with the skills of the crew as well as my 470 and Sailing Champions League experiences. We may also surprise the competitors and entertain the spectators with a bit untraditional way of match racing”. Alexa Bezel has been a driving force in match racing in her home country Switzerland the last decade. She reached the final when she visited Lysekil the first time in 2012 but hasn’t gotten another try to win the regatta in four tries. Marinella Laaksonen is one of the many talented Finnish match racing skippers sailing the WIM Series. She is currently ranked fourth in the world and her team had to settle with fourth place in the home event in Helsinki. Margot Vennin and her team are from Normandie and have been racing together for two years. They came close to fighting their way to the final in their first event on the WIM Series and now they will be coming to Lysekil for the first time. 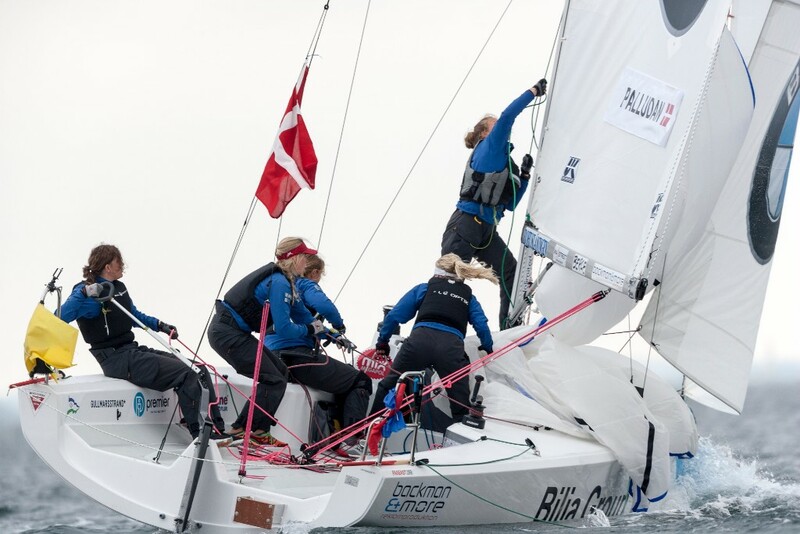 Johanna Bergqvist and Team Bergqvist Match Racing lost the final of the Helsinki Women’s Match. But reaching the final was an important step for the team and this season they have a clear goal. “We have done good regattas so far this year, we aimed at winning in Helsinki and we almost made it. But it feels great to be racing on a higher level and to be more competitive, challenging the best teams. We have done a lot of training and the feeling in the team is great. Our goal is clear, we want to win in Lysekil”, says Johanna Bergqvist. “The teams keep moving the sailing to new levels and it is very hard to pick favourites. Routine can take you far but there are a number of young teams who will be giving all they have to challenge the more established teams on the WIM Series”. Due to a late withdrawal from skipper Allie Blecher (USA) there is still one spot left to be confirmed and the twelfth team will be presented the coming weeks.